Before you know it, summer will be over and it will be time for the kids to go back to school. Make sure to maximize their vacation by taking time to play. Your backyard is a perfect spot for family bonding, creating fun activities and making memories. Here are a few backyard games that will make your family playtime a summertime hit! Everyone’s favorite carnival game, the Dunk Tank is fun for all ages. Don’t happen to have a huge tank with a hinged seat?! Try our variation. All you need is a water hose, a target, and a ball. 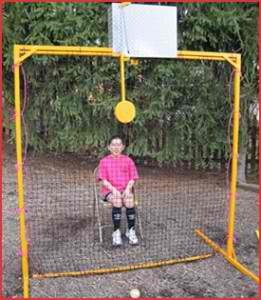 Have one person volunteer to be the “dunk-ee” while another person tries to hit the target with the ball. If a third person is available, have them man the hose. Give pitchers 3 tries to hit the target. When a hit is scored, the hose handler douses the dunk-ee with a good spray! The size of the target and/or the distance you place it from the pitcher can all be varied according to players’ ages and skill. Since it’s a great chance to get wet, you will find most people eventually volunteer for the “Dunk seat”! 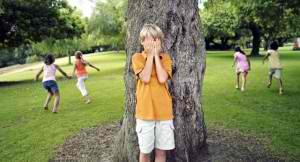 Hide-and-seek is a summertime staple. No props needed – just hide, count and run! Identify the “it” person or the one who will do the seeking. The seeker closes his eyes and counts slowly to ten. All other players will try to find the best possible hiding place and do their best to stay nice and quiet so the seeker can’t find them. Once the seeker has finished counting, they call out “Ready or not, here I come!” and then the hunt is one. The first person the seeker finds will become “it” in the next round. The last person found, is the winner of that game. Almost everyone is familiar with the popular and super-inexpensive game Twister. For an artistic twist, skip the slippery plastic mat that comes with the game and use spray paint to create your own “board” right on the grass! For a large group, create multiple boards, divide participants between them, and use one spinner to direct all games. If you don’t have a spinner, make your own equivalent using index cards cut in half. Make one set labeled with each color and another set labeled with each appendage (left foot, left hand, right foot, right hand). The play caller draws one card at random from each set to direct players. Players are eliminated when they touch the ground with anything other than a hand or foot, or touch any area other than the specified colored spaces. The last person standing wins! So before it’s time for back to school shopping, disconnect from the TV, video games and phones and take time to PLAY.